Amman, Mar. 26 (Petra) -- His Majesty King Abdullah starts on Wednesday a tour that includes Morocco, Italy, France, and Tunisia. 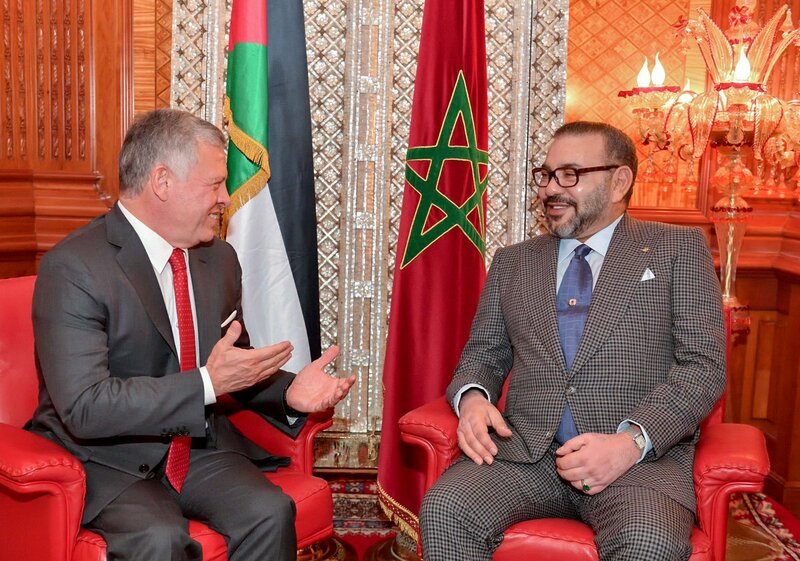 In Morocco, King Abdullah will hold talks with King Mohammed VI as part of ongoing coordination on regional issues, especially on the Palestinian cause, Jerusalem, supporting the Palestinian people in seeking their legitimate rights to an independent state on their national soil with East Jerusalem as its capital, and coordinating efforts among Arab institutions supporting Jerusalemites. The Morocco visit is in line with His Majesty’s efforts to activate joint Arab action and cooperation to counter regional challenges and achieve stability, which was also stressed at the trilateral summit held in Cairo on Sunday between Jordan, Egypt and Iraq. From the official statements, we can conclude that this visit seems brief and political purposes as it precedes the Arab summit in Tunisia. Amman, Mar. 27 (Petra) -- His Majesty King Abdullah on Wednesday departed on a tour that includes Morocco, Italy, France, and Tunisia. 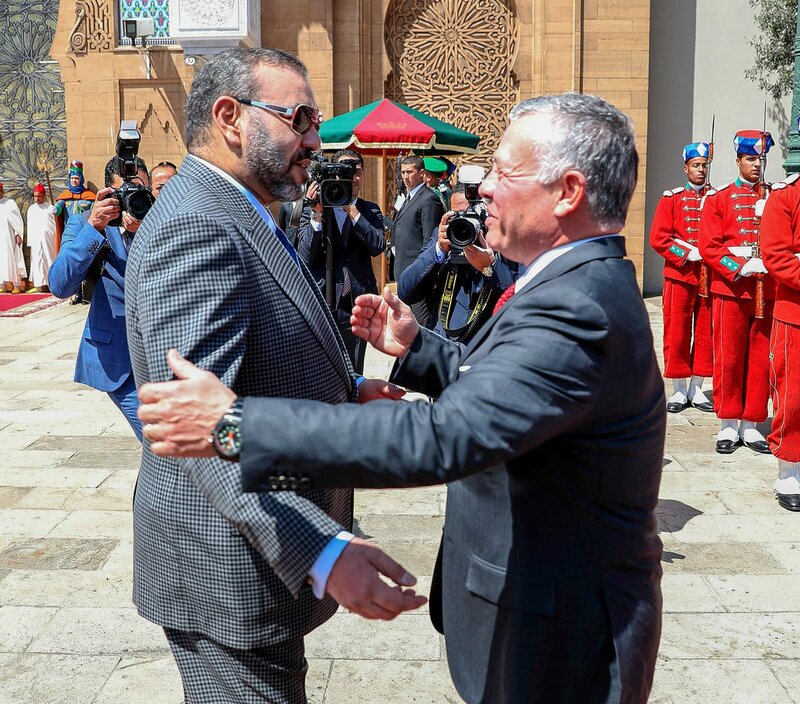 In Morocco, King Abdullah will hold talks with King Mohammed VI. Why HM was welcomed by Prince Moulay Rachid? He is a head of an Arab state & supposed to be received by King Mohammad VI. King Abdullah himself rarely receives fellows the heads of state at airort when they visit Jordan....he delegates. King Abdullah II is applying this protocol rule only with foreign guests. He is usually welcoming personally all his fellow Arab leaders (King`s /Heads of states) upon their arrival to his country even if their visits are considered low key. Moualy Rachid is a senior family member, but not in the rank of the king to receive him. 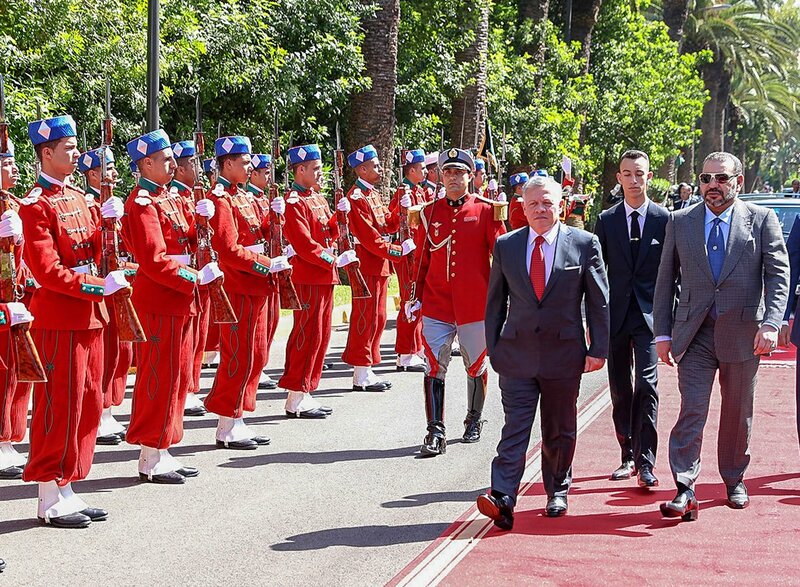 HM King Mohammed VI, accompanied by Crown Prince Moulay El Hassan and HRH Prince Moulay Rachid, offered a luncheon on Thursday at the Royal Residence in Anfa in honor of HM King Abdullah II Ibn Al Hussein, King of the Hashemite Kingdom of Jordan.